Are you a marketer who promotes incent-based campaigns? Become one of the first members of incent.ly! What’s incent.ly, you ask?? It’s a brand new Affiliate Network from PeerFly Inc. that is already loaded with HUNDREDS of top-paying CPA offers that all allow incentivized traffic. This new network was created from the ground up, 100% custom by our CEO and head developer Chad French. The PeerFly team is excited about incent.ly and the ability to serve all of the publishers who only work on the incentivized side of affiliate marketing. 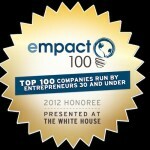 Although incent.ly is a new platform, the people behind incent.ly are not new to the industry. incent.ly is a division of PeerFly, Inc. and the child of the PeerFly Affiliate Network. 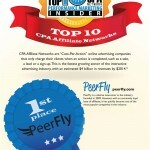 PeerFly has been around since 2009 and we’ve won numerous awards for being one of the top affiliate networks in the industry. PeerFly does not allow incentivized marketing so after high demand of incent based offers, we decided to branch out with an incent-only affiliate network. Thus, incent.ly began development in 2012 and launched on February 18th, 2013.